Treasurer Josh Frydenberg’s first budget tomorrow is expected to deliver a predicted surplus thanks to Australia enjoying its second largest increase in mineral exports on record. But for the winner of the 2019 federal election, the surplus will likely be short-lived with thermal coal exports entering long-term decline. Simon Nicholas, Energy Finance Analyst at the Institute for Energy Economics and Financial Analysis (IEEFA) reports. THE AUSTRALIAN and NSW governments will need to come to terms with declining revenue contributions from thermal coal. Medium term forecasts released last week by the Australian Office of the Chief Economist project declining revenues from the thermal coal industry. The latest coal-fired power plant pipeline data released by the Global Energy Monitor (GEM) also adds support to IEEFA’s prediction that Australian thermal coal exports are entering long-term decline. In November 2018, IEEFA released a report highlighting the coming decay in thermal coal exports out of New South Wales (NSW), the major thermal coal-producing state of Australia. This conclusion was based on activities of the major off-takers of Australia’s thermal coal, rather than on highly optimistic forecasts of the Australian coal industry. 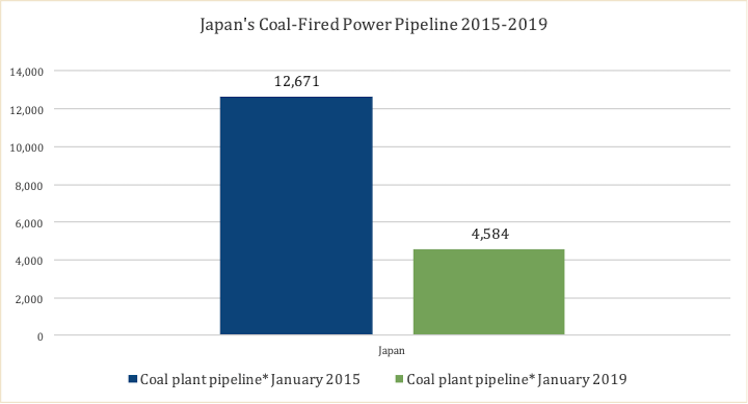 The new January 2019 GEM data shows the continuing collapse in the pipeline of new coal-fired plants in Japan, the largest nation in receipt of NSW thermal coal (45% in 2018). Accounting for the news that the 2 GW Chiba project has been cancelled, which was announced after the latest GEM data was prepared, Japan’s pipeline of new coal-fired power plants has collapsed 64% in four years. Furthermore, Japan’s Environment Ministry recently announced it would not sanction any more new coal-fired power plants or upgrades to existing ones. From almost 12.7 GW of projects in Japan’s pipeline at January 2015, the latest figures put the pipeline at under 4.6 GW. Importantly, this figure is highly likely to continue to decline. And this may happen sooner rather than later, with rumours Marubeni and Kansai Electric’s 1.3 GW Akita coal project is on the brink of cancellation. If this happens the pipeline will be a quarter of the size it was in 2015. In announcing the cancellation of the Chiba project – the largest that remained in Japan’s coal pipeline – proponent Kyushu Electric Power Corp noted the plant would be unable to yield the required investment returns. This is unsurprising given a key characteristic of Japan’s electricity system, where electricity demand is in long-term decline. New coal-fired power plants make increasingly less sense given this declining demand combined with the coming increase in alternative sources of power in Japan. The government is determined to bring more nuclear power units back online and there is the prospect of significantly more renewable energy, with offshore wind poised to breakout in Japan as it is around Asia. Japan has 8.7 GW of new coal plants currently under construction, but these will simply replace 8.2 GW of older units due for retirement over the next five years according to GEM data, a situation often glossed-over by the Australian coal industry. Furthermore, the new plants’ much-vaunted “efficiency” means they use less coal than old plants. 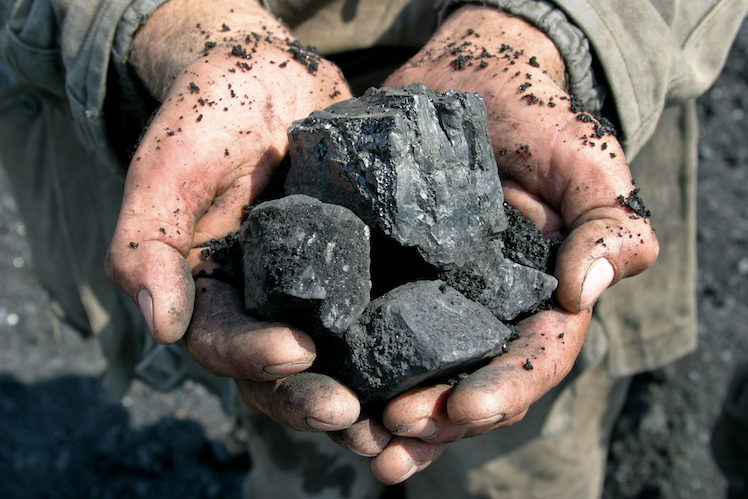 Growing momentum away from coal in Japan has seen the influential major trading houses Mitsubishi, Mitsui, Itochu and Sojitz announce they are leaving thermal coal mining for good whilst Marubeni has indicated an end to further coal-fired power plant construction. In addition, growing pressure to respond to the impacts of climate change may force Japan to favour Liquefied Natural Gas (LNG) over coal during the last decades of fossil fuel-fired power generation, as South Korea appears to be doing. Japan is the chair of the G20 in 2019 and has put climate change action at the top of its agenda during its tenure — a more ambitious plan to reduce Japanese carbon emissions may be in the works. The South Korean government is aiming to encourage a switch from coal and nuclear powered generation to LNG and renewables. Policy drivers have included significantly increased taxes on coal imports and a drop in LNG import taxes. The Australian government’s export credit agency, the Export Finance and Insurance Corporation (EFIC), has noted this policy shift “will benefit Australian LNG exports at the expense of thermal coal producers”. In addition, South Chungcheong province, home to around half of South Korea’s coal-fired power plants, is intending to move away from coal even faster. The province is already a member of the Powering Past Coal Alliance — a global alliance of governments, businesses and organisations transitioning away from coal. According to the latest GEM data, South Korea has one coal-fired power plant left in development pipeline – POSCO’s Samcheok project which is awaiting construction and is expected to come online in 2024. South Korea has already stopped issuing permits for new coal plants. China, another of NSW’s big four thermal coal export destinations has seen the dramatic collapse of its coal-fired power pipeline continue. The latest GEM data shows that China’s pipeline has plummeted 86% since 2015. This is likely to continue as the nation grapples with its air pollution issues by prioritising renewables and gas-fired power over coal. China has recently increased its renewable energy consumption targets from 20 per cent of consumption to 35 per cent by 2030. Furthermore, unlike Japan and South Korea, China has plenty of domestic coal with imports only making up a small part of its overall coal consumption. In 2018 alone, China added 194 million tonnes of new domestic coal mining capacity — almost seven times the amount of thermal coal exported from NSW to China that year. The Australian Government’s Office of the Chief Economist has noted that the risk of increased Chinese domestic thermal coal supply would lead to reduced import demand. The last of the big four export destinations for NSW thermal coal is Taiwan. The new GEM tracker shows that Taiwan’s coal plant pipeline is empty. There were 2.4 GW of projects in the development pipeline in 2015 but project cancellations mean there are no new developments on the horizon. Southeast Asia is often cited by the NSW coal industry as a key growth market for its product. Malaysia is the next biggest destination for NSW thermal coal after the big four. In 2018, exports to Malaysia represented 3.6 per cent of total thermal exports. Malaysia now has no more coal plants in its development pipeline. In fact, even in growing coal markets, coal plant pipelines are shrinking. In Vietnam, which represented just 0.3 per cent of NSW thermal coal exports in 2018, the pipeline has decreased 26 per cent since 2015. Although there will be increased thermal coal demand from Southeast Asia going forward, it will not be enough to make up for the coming demand declines from the big four destinations. Meanwhile, India’s coal plant pipeline has also seen a dramatic contraction. The latest figures show the development pipeline has collapsed 81 per cent since 2015. NSW exports very little thermal coal to India, just 1.2 per cent of total exports in 2018. The rise of cheaper renewable energy and high financial stress in the Indian thermal power sector has seen just a net 20 MW of thermal power additions in India during the first 11 months of the current fiscal year. 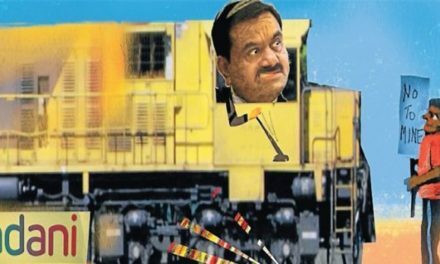 The stagnation of India’s coal-fired power build out has happened much faster than expected. Peak coal in India is now on the horizon. Whilst India’s domestic coal will play a role in its power sector for years to come, economic and energy security concerns will move India away from thermal coal imports—India will rely on domestic coal and renewables to fulfil its growing power demand. With demand for Australian coal set to decline in the longer term, excess supply will see downward pressure on prices. The high coal export revenues in 2018 will be the exception rather than the norm. Benchmark Newcastle coal prices touched US$120/t during 2018 but are currently 25 per cent lower, below US$90/t. Furthermore, much of Australia’s exported thermal coal is a lower grade product, recently benchmarked at US$56/t. Higher coal revenues in 2018 were driven by higher prices not higher export volumes — thermal coal volumes exported out of NSW peaked in 2014. 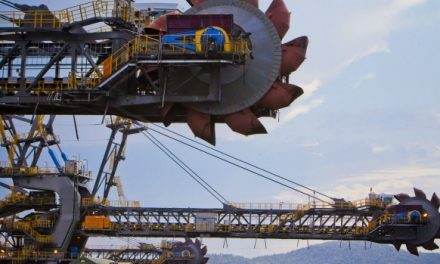 While the Australian Federal Budget will reportedly be bolstered by higher tax revenues from mining companies including coal miners, in the longer term, the Federal and NSW State governments will need to be ready for declining export volumes impacting tax revenues and royalties. Simon Nicholas is an Energy Finance Analyst at the Institute for Energy Economics and Financial Analysis (IEEFA) and a fellow of the Institute of Chartered Accountants of England and Wales. Nicholas joined the IEEFA team in July 2016, after 16 years’ experience within the finance industry at ABN Amro, Macquarie Group and Commonwealth Bank of Australia in both Sydney and London. You can follow Simon Nicholas on Twitter @simonjnicholas. NextFranking Credits: why no government payment for bank interest?